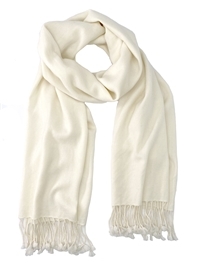 The Pashmina Store is proud to bring you the finest quality Natural pure pashmina shawls at exceptional values. 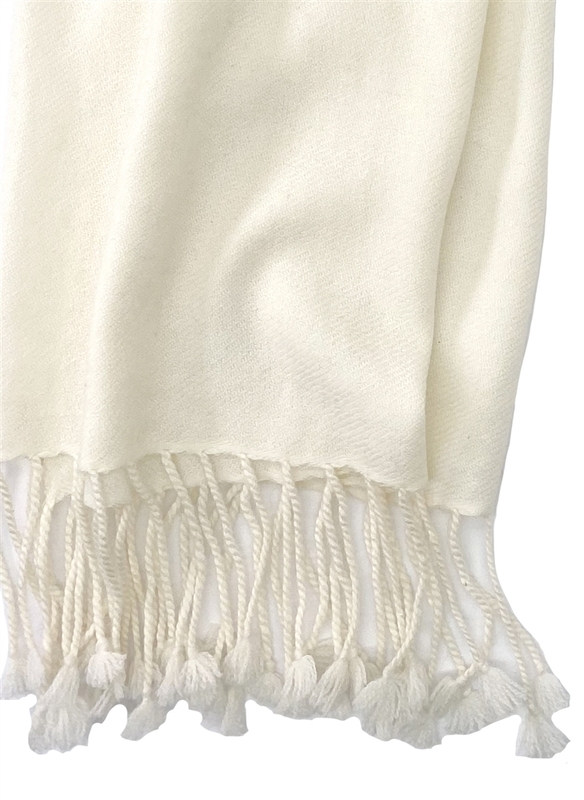 This big, beautiful off white / ivory shawl is a full 36" x 80", plus 3" tassels on both ends. It is carefully crafted by hand in Nepal using 100% soft and wonderful pashmina wool. Plus, it is luxurious 3 Ply...making it extraordinarily comfortable. Average Customer Review: 5 of 5 Total Reviews: 6 Click here to write a review. I am enjoying my shawl. 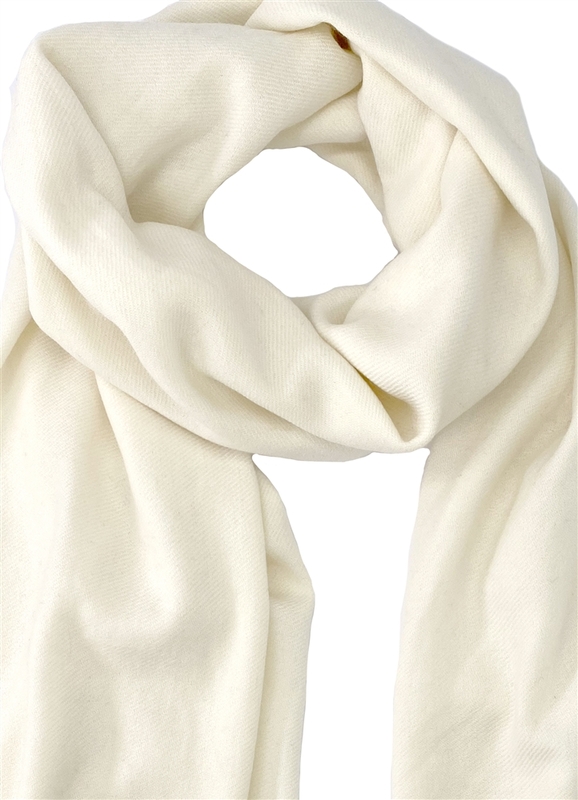 It is a pleasing off white tone, not garish and loud. I am very pleased with the quality and prices on your items. I have ordered 3 already as gifts and plan to get more in the future. It makes my life a lot easier to have you there for me to buy gifts! The shawl is beautiful and exactly what I wanted. Plus the ordering was easy and the package arrived in a very timely manner. I just wanted to tell you I love your store. I just received my shawl and I wanted you to know that it is beautiful, soft and just perfect. This is the real thing - and I have ordered elsewhere to discover otherwise. I will order more in the future.